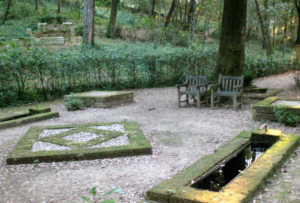 Il Bosco della Ragnaia sculpture park. Once a bird hunting with nets today really bizzaro sculpture park. The Park’s entrance reads the motto: “if not here, where?“. In these woods, once ruled by sages and populated by creatures, you can free your mind and give their own interpretation to any theme of life. Only one interpretation is not allowed: to assume that his is the right one, and that others are wrong, otherwise be declared fetid and vacuous. The vagueness is the main theme of the forest.